Mortar between masonry units consists of a mix of lime putty and sand. It is characterized by a light beige colour. Lime mortar is a low-strength (weak) mortar, and it can be easily scratched (removed) from the wall using a sharp tool (like a key). 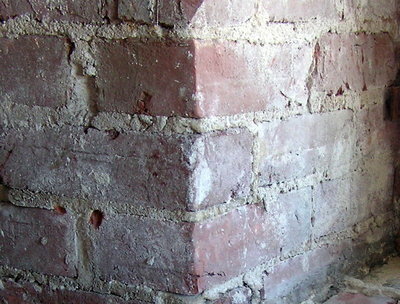 Lime mortar can be found in older buildings, mostly fired clay masonry construction.